Darin brought an AAS in Respiratory Therapy and over nine years of experience in the field to our team when he joined us as Regional Respiratory Therapist. 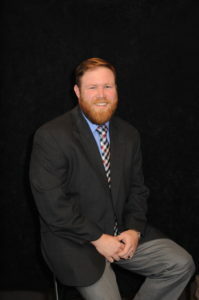 He is currently completing a BBA degree and was recently elected by his peers to the position of President of the East Tennessee Chapter of the Tennessee Society for Respiratory Care. He is certified in BLS, ACLS, PALS, and NRP and has served as Assistant Manager of Respiratory Therapy and worked in several critical care areas in various hospitals. He is veteran of the United States Air Force having served in Kuwait. Outside of work he enjoys sports and participating in his four kids activities. He and his wife, Kacey enjoy following whatever season is playing at the University of Tennessee.